I have wanted this dress since it came out yet for some reason it has never made it to check out. I have watched many different bloggers wear the dress, all looking gorgeous, yet still, no purchase. Then a couple of days ago I saw it worn by lovely Leah of Just Me Leah and I was instantly sold. I bought it 30 seconds later, sat on the bus, cursing at my slow connection. 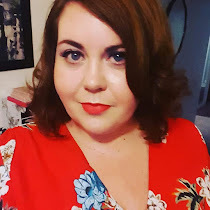 Luckily I also saw that Leah had noted on her blog that the dress was available on the Crazy Clearance website for £23.50, a bargain considering the dress is at the full price of £45.00 on the main site. I absolutely adore this dress. So much so in fact that I had to take photographs of it right then and there so hence you will also see no shoes, windswept hair and a face with less make up on it than it had this morning! I don't know why I waited so long to buy this dress, but now it's here, I feel amazing in it. Perhaps a contender for my work Christmas party?? Spooky coincidence, just seen that the brilliant Nikki from Natty Nikki has just reviewed this dress today too. She looks a million dollars in it so I urge you to check her out!